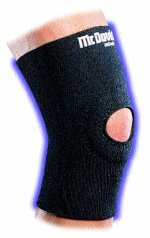 Ultimate protection for knees needing maximum support. 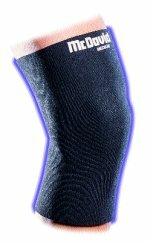 Excellent post-cast, post-surgery support and maximum protection during all sports. Bilateral hinges restrict medial/lateral movement, help control flexion/extension of the knee. 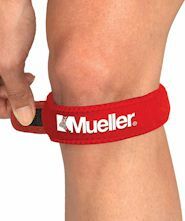 Patella buttress stabilizes and protects the knee cap, aids in the treatment and relief of chondromalacia (irritated knee cap). 3 in one brace = a sport brace with full range of motion or lock out the hinges and use as an immobilizer or use as a rehab brace with the adjustable extension stops. Measure7 above the knee and 7 below the center of the knee. General purpose, economical sleeve provides basic support and protection. 10 � long thermal neoprene sleeve with nylon facing on one side. General purpose, economical sleeve provides basic support and protection. Open patella relieves pressure from the patella. 10 � long thermal neoprene sleeve with nylon facing on one side.